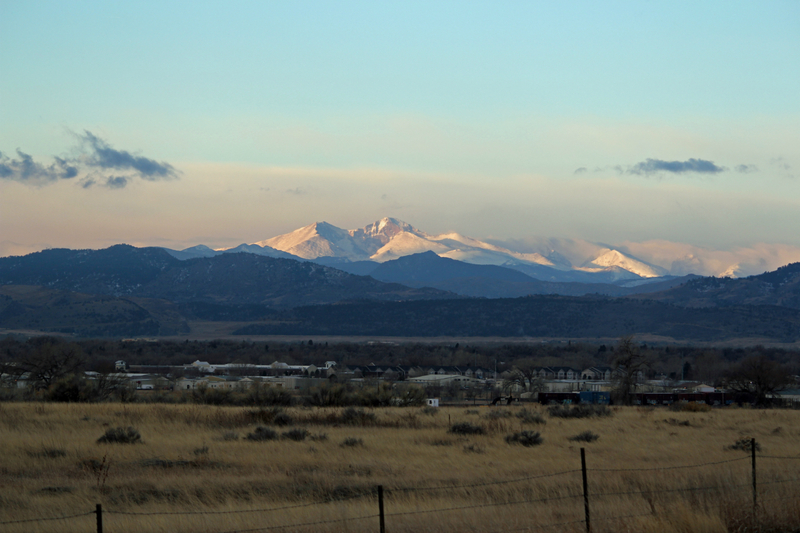 Good news for lovers of Longs Peak (elev. 14,259 ft). 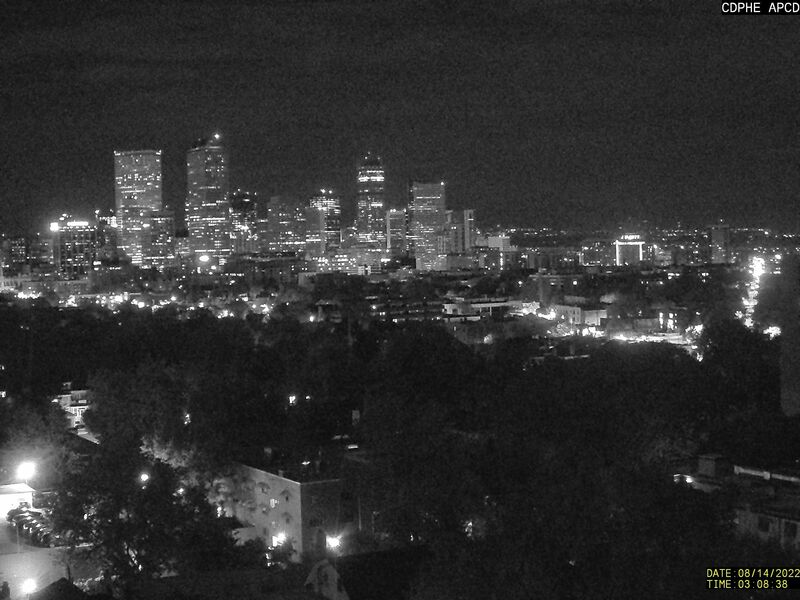 There’s a 24-hour time-lapse view of the peak on the Lookr website. 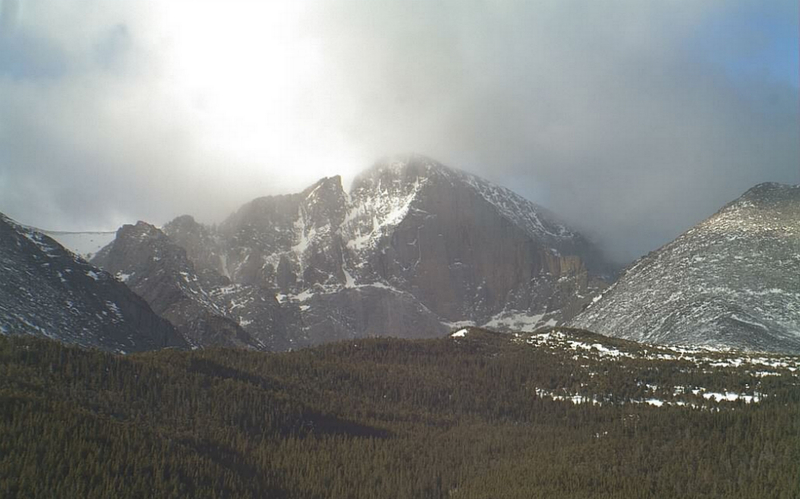 The video is compiled from Rocky Mountain National Park’s Longs Peak webcam. Nothing new about the camera itself, but the compilation of sequential still shots is a wonderful way to see how the light, clouds, and weather change the appearance of the peak. And don’t miss the bonus feature. Click the little up/down arrow at the bottom of the screen and you can also watch 30-day, 12-month, or “lifetime” (about 2.5 years) videos. 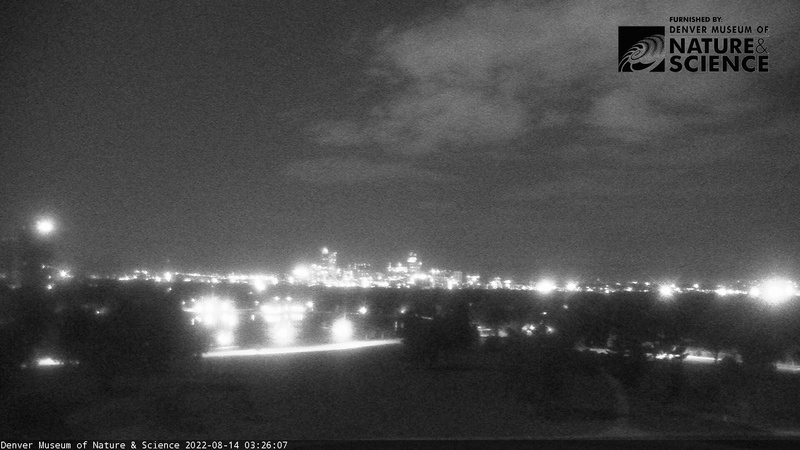 Note August 11, 2016: As those of you with larger screens may already have noticed, scrolling down the page with the Longs Peak webcam will reveal other Colorado webcams (many that I’ve mentioned before) also with time lapse. Wow, how’d you reach that conclusion!? 🙂 You’re a smart one, aren’t you? My parents’ fault. One’s an artist and one’s a scientist. An innovative way to view a place that you treasure! I love the way the application of this technology is being used to explore and appreciate scenes and events!. Webcams were invented for couch potatoes like me.